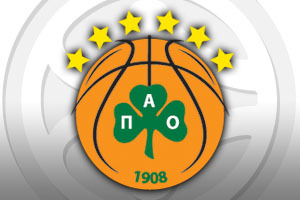 Spread Pick: Panathinaikos with handicap -8.5 at 1.90 Over/Under: Under 156.5 1.90 Bet Now! In Group C, Barcelona have already qualified, which means that there are just three positions left in the group. Panathinaikos are regarded as one of the favourites to clinch one of the remaining spots in the group and they have a chance to strengthen their place in the qualifying positions by taking on FC Bayern Munich at home on Friday night. The Greek side hold a 4-2 record, sitting in third place in the group while their German counterparts have a 1-5 record, and sit second bottom. If it goes to form, Panathinaikos will have edged closer to the Top 16 but in the previous meeting between the sides this season, the German team ran out the winners. 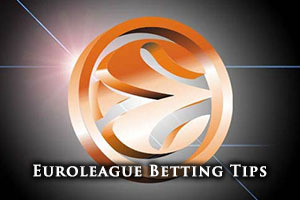 In Round 2 of the 2014/15 Euroleague season, Bayern Munich defeated Panathinaikos by a score of 81-75. This is the only match that Bayern have won in the Euroleague so far this campaign and they will be desperate to do the double. That match had a total of 156 points, which is something that some basketball betting fans will want to remember. When it comes to point scoring, there is not much between the teams. Panathinaikos have been averaging 81.33 points per game in the Euroleague while Bayern Munich have averaged 79.5 points per game. With respect to individual scorers, the top man for Panthinaikos is Esteban Batista, who has an average of 12.5 points per game, while AJ Slaughter is close behind with 11.3 points per game. With respect to assists, Dimitris Diamntidis is leading the way with 6 assists per game. While Bayern are languishing near the bottom end of the group, they have Nihad Djedovic showing consistently good form with an average of 13.7 points per game. If you want to keep up to date with the live action, we can sort you out with live streaming so you can watch Panathinaikos versus Bayern Munich from the comfort of your own home. We can also provide you with a free £5 bet from 10Bet so if you want to enhance your odds of fun this Friday, we are here to help. For the game, and even bearing in mind that Bayern triumphed in the last clash, you have to expect Panathinaikos to step up and take care of business. Taking the home side with a handicap of -8.5, at odds of 1.90, is likely to be a smart bet. If you are keen to get involved with the Over/Under market, you will find that going Under 156.5 is of benefit. This is available at odds of 1.90 and all of these bets are available with 10Bet. Bet Now! A Panathinaikos win would see Bayern unable to match their haul and with PGE Turow sitting below the German side having played their Round 7 game, a home win would spark great scenes of delight in Greece.